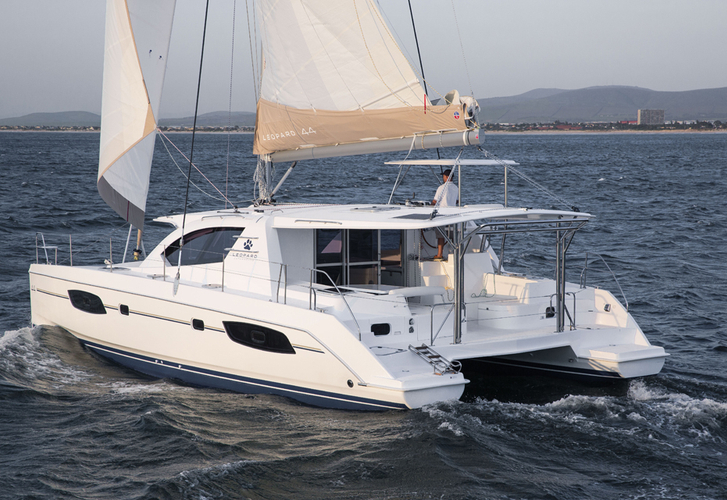 Yacht Leopard 44 called SHANGRI-LA has been manufactured in 2014. SHANGRI-LA is certified for 10 persons. Layout of the vessel is 10 (8+2). Leopard 44 SHANGRI-LA is equipped with 4 bedrooms. For guests disposal there are 4 heads with showers. With motor 39 SHANGRI-LA can sail really fast. SHANGRI-LA is 12.98 meters long and 7.25 m wide. Draft is 1.27 meters. Security deposit is 4000.00 EUR. Choose our offer and enjoy your holidays on the deck of SHANGRI-LA.